Valenice Balace is the CEO and managing partner of Honesty Apps. Valenice isn't even 30 yet, and she's already made a name for herself in the tech community. In 2016, she was one of the emerging entrepreneurs featured on Forbes' first ever "30 Under 30 Asia" list. And we're not even that surprised—this girl has been making apps since she was just a teen. 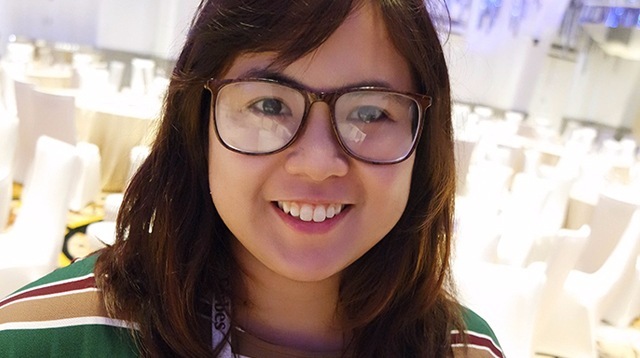 As part of their global campaign, #WomenWill, Google Philippines invited Valenice and eight other inspirational women to talk about how technology and access to information can literally change lives. Cosmo.ph interviewed Val to find out more about her company, Honesty Apps. Tell us about Honesty Apps. Honesty Apps is a dating, conference, and community apps platform. We make apps really quickly… like in a day. If you're wondering how we do that, we already have parts of an app, and we just plug it together like Lego blocks! We're the only app provider that can give you an app in five minutes and at one-tenth of the cost. Where do you see Honesty Apps in five years? We recently booked three major clients for our conference apps, as well as a few government contracts. We've also started working with De La Salle-College of Saint Benilde for their college app. I can see Honesty Apps being a top apps platform in South East Asia. What are the challenges that you—as a woman—face in this industry? Pinoy CEOs and executives don't expect to see me when they have to meet with the CEO of our company. Every time I show up to a meeting, they ask me where my boss is. How can we encourage women to stay in tech? We need to see more women in tech. That's how we can encourage women to stay. Before, education and finance used to be male-dominated fields… until women came along. Now, we see more female educators and bank personnel. What are you most excited about for the future of technology? For someone like me, who loves learning, technology is endless; it just becomes faster and more efficient. And the applications are limitless! Technological innovations can be seen in the household, in your plans, and even in your food. Not too long ago, a man landed on the moon and now, Virgin Galactica is attempting to make space travel commercially available. How do you set business goals in an industry that is always changing, especially when it comes to web technology and design? The team has to be lean, and approvals have to be fast. And you have to be ready to change direction and measure everything. In a tech business, you have to strategically plan everything so if one thing doesn't work, everything is still reusable. You just have to be adaptable.